The Bluetooth Special Interest Group officially ratified the Bluetooth 5 standard on Wednesday, meaning Apple's next iPhone and iPad models could boast wireless accessory connectivity up to four times the distance of current specification devices at double the speed. With faster speeds, extended broadcast range, larger packet capacity and other enhancements, the Bluetooth 5 specification promises to further drive the world's ecosystem of connected device, Bluetooth SIG said in an statement. Products integrating the protocol are expected to hit market in the next two to six months. In addition to increased reliability and operating range for audio accessories, the latest Bluetooth revision promises to revolutionize the so-called Internet of Things by introducing stable connections and mobilizing the adoption of low-energy beacons. "This means whole-home and building coverage, as well as new use cases for outdoor, industrial, and commercial applications will be a reality," said Mark Powell, Executive Director of Bluetooth SIG. "With the launch of Bluetooth 5, we continue to evolve to meet the needs of IoT developers and consumers while staying true to what Bluetooth is at its core: the global wireless standard for simple, secure, connectivity." 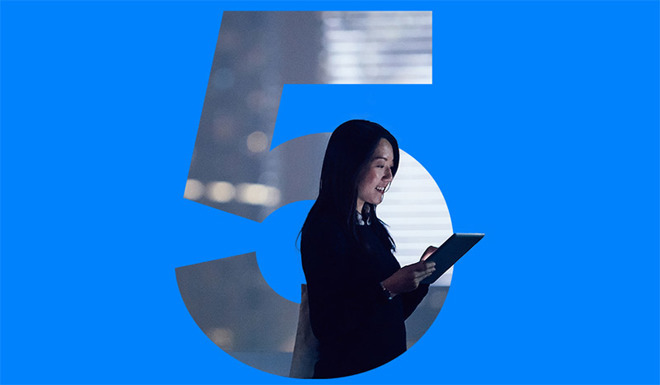 First outlined in June, Bluetooth 5 offers four times the range, two times the speed and eight times broadcast message capacity as compared to the current Bluetooth 4.2 protocol. The new version also includes upgrades that reduce interference with other wireless technologies, a provision designed to streamline IoT device rollouts. As a non-technical consideration, SIG is adopting a simplified naming convention with Bluetooth 5 and will no longer issue traditional version and point numbers. The exercise in branding should alleviate confusion stemming from the myriad variations seen with prior releases. Bluetooth 4.0, for example, is also marketed as Bluetooth LE, BLE and Bluetooth Smart, among others. For Apple, a company known as an early adopter of new Bluetooth technology, Bluetooth 5 is expected to start making its way into product revisions next year. The iPad Pro could be the first of Apple's devices to integrate the technology, as a refresh is anticipated for release in the first quarter of 2017. Apple's iPhone, due out next fall, should also make use of the updated communications standard.